At DonEast Supreme Dental Clinic, we are committed to delivering highest quality dental services to our patients with exceptional dental care given by our doctors, along with our entire dentistry team. Every patient is welcome to an office that exhibits warmness, kindness and engaging personalities. We are dedicated to providing you and your family world class dental services in Doncaster East, Nunawading, Balwyn North, Box Hill, Blackburn North, Box Hill North and Templestowe. Our team duty is to work with every one of our patients to build up a far-reaching dental plan and deliver the procedures required to meet that plan with greatness and a delicate touch. We offer a wide scope of world-class procedures from exams and cleaning through cosmetic and restorative techniques to accomplish our patients’ dental health necessities and appearance wishes. Our commitment to each patient is to provide an individual treatment plan that is developed to their greatest advantage, joined with their clinical needs and vision. Children have unexpected dental needs in comparison to grown-ups, and addressing oral health in a kid’s initial years is particularly essential because it helps prevents more serious issues further down the road. Our children’s dentists in Doncaster East will ensure that your kid’s oral health is in their best shape, setting them up for a lifetime with a healthy smile. 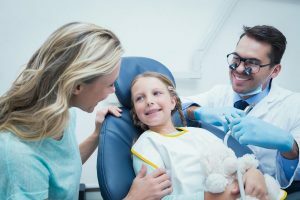 For children who are particularly on edge or have unique needs, we offer paediatric sedation dentistry services. Sedation dentistry enables patients to relax and stay still during the process using sedation or anaesthesia. Our dentists will work with you and your child to find a safe, suitable sedation choice. We want to see you smile, and that is the reason we give the most recent procedures in dentistry, using innovative technology for progressively precise judgments and effective treatment. Customized and dynamic family dentistry with a promise to greatness – that is what you can expect from us. Dentistry is never again just a case of filling and removing teeth. These days numerous individuals swing to cosmetic dentistry, as a method for improving their appearance. The treatments can be utilised to fix, lighten, reshape and fix teeth. For patients in Doncaster East and its surrounding suburbs looking to enhance the look and feel of their smile, our cosmetic dentists offer a wide scope of services to address an assortment of cosmetic dental needs and wants. Our services will give you the capacity to improve the general appearance of your teeth, gums, and mouth, which takes into consideration a more brilliant, increasingly energetic smile. In the event that you have worn teeth, staining chipped or uneven teeth, holes or missing teeth, or even undesirable wrinkles around the mouth or face, a cosmetic procedure might be appropriate for you.